STILL IN MY HEART's jacket. STILL IN MY HEART's DanceEvolution ARCADE jacket. Why? Why did you have to go away? I can't believe what we've been through? Of what I thought could be reality? When will I ever break free? According to NAOKI, STILL IN MY HEART is a direct continuation of his earlier song LOVE AGAIN TONIGHT ~For Melissa MIX~. 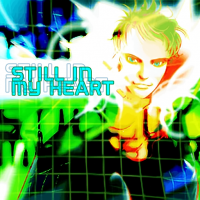 A speed remix of STILL IN MY HEART, titled STILL IN MY HEART (MOMO MIX), appears in DDRMAX2 -DanceDanceRevolution 7thMIX-. 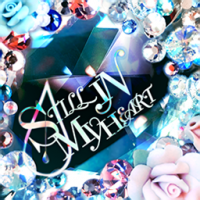 A Japanese cover of STILL IN MY HEART, titled LIFELESS, appears on Riyu Kosaka's album, begin. LIFELESS was supposed to appear in the cancelled game カラオケレボリューション BEMANIシリーズセレクション. An instrumental version of STILL IN MY HEART can be found in a promotional DanceMasters disc by Taco Bell. STILL IN MY HEART received a new banner in DanceDanceRevolution (PC). According to Riyu Kosaka, STILL IN MY HEART is one of her favorite BEMANI songs. STILL IN MY HEART received a BEGINNER chart in DanceDanceRevolution EXTREME. STILL IN MY HEART appears as downloadable content for DanceDanceRevolution S+, in the DDR 5thMIX Pack 3. STILL IN MY HEART is unlockable in beatmania IIDX INFINITAS from April 3rd, 2019, after purchasing its NORMAL, HYPER, and ANOTHER charts for 4500, 6500, and 10000 BITs respectively. "STILL IN MY HEART" by NAOKI is a song about holding onto the ones that you love. Once you hear the song, it will always stay in your head too! beatmania IIDX difficulty rated 1 to 7+ in 5th through 9th style, 1 to 8 in 10th style, 1 to 8+ in IIDX RED, and 1 to 12 from HAPPY SKY onwards. DanceDanceRevolution difficulty from the original game to 2ndMIX rated from 1 to 8, 2ndMIX CLUB through 5thMIX (and the Solo games) rated from 1 to 9, 1 to 10 from DDRMAX2 to SuperNOVA2, and 1 to 20 from X onwards. This page was last edited on 3 April 2019, at 03:01.